These unique Sea Turtle socks will warm your feet and heart. A comfy blend of 75% acrylic and 25% stretch nylon, everyone will enjoy our Sea Turtle socks. Don't be caught in the cold without a pair of Sea Turtle socks, they also make a nice gift. 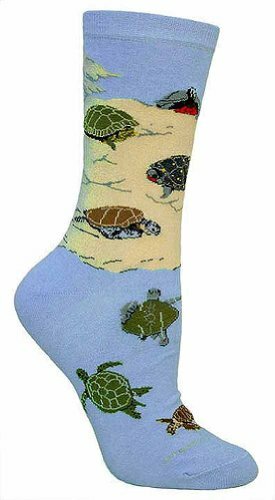 The Sea Turtle socks fit ladies size 9-11.